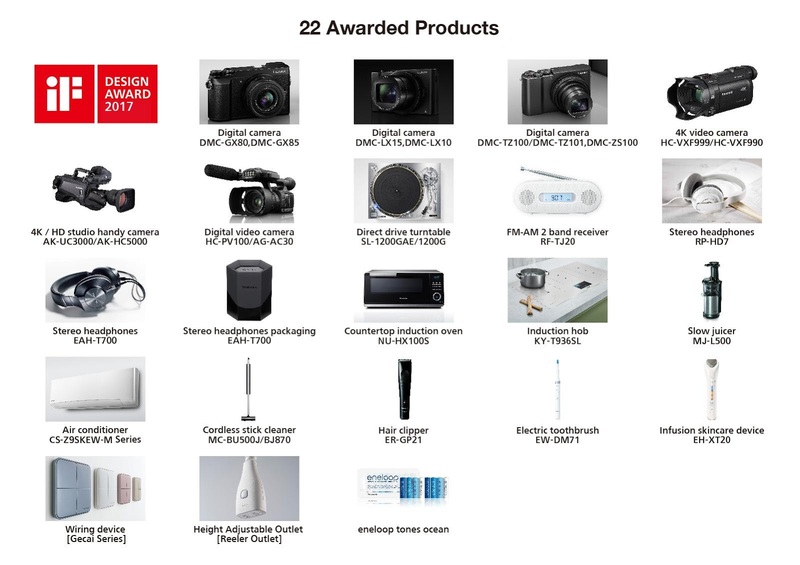 Hannover, Germany - Panasonic Corporation (Panasonic) received 22 design awards for highly-regarded product designs at iF Design Award 2017, which was held and hosted by iF International Forum Design. The award-winning products include digital single lens mirrorless cameras, the cordless stick cleaner IT, a wiring device, and eneloop batteries. This year, over 5,500 products from 59 countries were examined by jurors consisting of professionals from various countries. Panasonic's award-winning products are listed below. The iF Design Award is a design award established in 1953 with the aim to promote industrial design. This award is hosted by the iF International Forum Design, which is based in Hannover, Germany, and consists of seven categories, i.e., Product, Packaging, Communication, Interior Architecture, Professional Concept, Service Design, and Architecture. Every year, top-class designers and design managers of corporations examine products and select excellent designs. As a prestigious award in Europe, the birthplace of industrial design, the iF Design Award is one of the most famous international design awards.